I took this workshop 10 years ago at Dell’arte and it was fantastic then– I’m sure it’s gotten even better now. Give your imagination a whack on the side of the head! Discover concrete ways to get beyond “STUCK” when you’re creating new work. Practice ways to think, see and create without the auto-critique shutting you down. This is a hands-on course in generating new material dealing with the emotions of shape, the excitement of rhythms (tempo, architectural, dynamic) and finding ideas from untapped and unconventional sources. Otherwise put: it’s training in juggling the juxtaposition of the physical world on stage and the metaphysical world that the audience will eventually take home with them. You, the artist, will go back to your studio with concrete ideas and a running start at building your next project. This work is great for performers, directors, teachers and anyone else looking for freedom and empowerment in their own creativity. 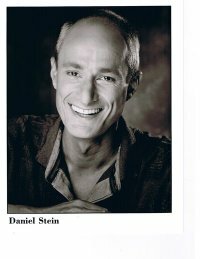 Daniel Stein studied in the Professional Actors Training Program at Carnegie Mellon University, where he worked with Jewel Walker. He then studied with Etienne Decroux in Paris, becoming M. Decroux’s translator, and began his professional career as an actor with the French National Theatre—a relationship which lasted 20 years. His solo performances have toured in more than 30 countries, and have been seen in the US in venues such as the Kennedy Center and Lincoln Center. He has taught master classes throughout the world at institutions such as Juilliard School and The Institute of Dramatic Arts, Tokyo. Daniel has received grants from the National Endowment for the Arts and is a John Simon Guggenheim Fellow. Daniel served for five years as Dean of Students and another five years as School Director, of The Dell’Arte International School of Physical Theatre. The fall of ’08 has him slated to direct in Philadelphia and act in Clown Show for Bruno Shultz in Israel and Germany.